The Ministry of Health Jalisco (SSJ) reported that there have been 288 cases of dengue reported so far this year, of which 255 are the classical type and 33 are hemorrhagic. The Director of Public Health of the SSJ, Barocio Bernardo Carrillo, said that they are continuing with preventive measures against dengue in the state of Jalisco after Epidemiological Week No. 43, in which 39 new cases were reported, of which 33 are conventional type and 6 hemorrhagic. Guadalajara leads as the municipality most affected by dengue with 73 cases, followed by Puerto Vallarta with 59, Magdalena with 35 and Tlaquepaque and Zapopan with 31 and 22 cases, among others. The State Official said that the State of Jalisco ranks 15th nationally for the number of cases and incidence rate at 19th. Intensive operations were taken on October 30-31 and November 1-4 when citizens of Jalisco left the big cities to visit beach destinations and resorts. The doctors reported that in addition to the continuance in strengthening actions for epidemiological and entomological surveillance in the health regions (VII Autlan, VIII Puerto Vallarta, IX and XII Ameca Tlaquepaque), which submitted an elevation of probably cases. They want to remind all citizens and tourists that if you have a sudden high fever, pain behind the eyes, severe headaches and joint pain, along with a feeling of general malaise, you should go immediately to the nearest health center and avoid self-medication. Dengue [DEN-ghee] is a flu-like viral disease spread by the bite of infected mosquitoes. Dengue hemorrhagic fever is a severe, often fatal, complication of dengue. 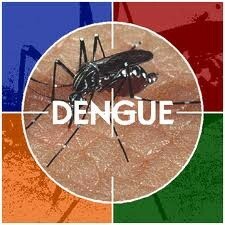 Dengue occurs in most tropical areas of the world. Most U.S. cases occur in travelers returning from abroad, but the dengue risk is increasing for persons living along the Texas-Mexico border and in other parts of the southern United States. There is no specific treatment for dengue. Prevention centers instruct on avoiding mosquito bites in areas where dengue occurs or might occur and eliminating breeding sites. Dengue fever usually starts suddenly with a high fever, rash, severe headache, pain behind the eyes, and muscle and joint pain. The severity of the joint pain has given dengue the name "breakbone fever." Nausea, vomiting, and loss of appetite are common. A rash usually appears 3 to 4 days after the start of the fever. The illness can last up to 10 days, but complete recovery can take as long as a month. Older children and adults are usually sicker than young children. Anyone who is bitten by an infected mosquito can get dengue fever. Risk factors for dengue hemorrhagic fever include a person's age and immune status, as well as the type of infecting virus. Persons who were previously infected with one or more types of dengue virus are thought to be at greater risk for developing dengue hemorrhagic fever if infected again. • No effective mosquito control efforts are underway in most countries with dengue. • Public health systems to detect and control epidemics are deteriorating around the world. • Rapid growth of cities in tropical countries has led to overcrowding, urban decay, and substandard sanitation, allowing more mosquitoes to live closer to more people. • The increase in non-biodegradable plastic packaging and discarded tires is creating new breeding sites for mosquitoes. • Increased jet air travel is helping people infected with dengue viruses to move easily from city to city. • Dengue hemorrhagic fever is also on the rise. Persons who have been infected with one or more forms of dengue virus are at greater risk for the more severe disease. With the increase in all types of virus, the occurrence of dengue hemorrhagic fever becomes more likely. • Use mosquito repellents on skin and clothing. • When outdoors during times that mosquitoes are biting, wear long-sleeved shirts and long pants tucked into socks. • Avoid heavily populated residential areas. • When indoors, stay in air-conditioned or screened areas. Use bed nets if sleeping areas are not screened or air-conditioned. • If you have symptoms of dengue, report your travel history to your doctor. • Eliminate mosquito breeding sites around homes. • Discard items that can collect rain or run-off water, especially old tires. • Regularly change the water in outdoor bird baths and pet and animal water containers.